You may or may not have noticed that the only recipe I posted last week was for Chili Cheese Dip, but that I did do a lot of posting. And there’s a reason. My original intentions of blogging were to create a lifestyle blog. You know, food, crafts, projects, home idea inspiration etc. Unfortunately, I pretty much worked, slept and ate for 6 months. And that’s about it. Which led to a lot of recipes but not a lot of anything else. A girl’s gotta eat and sleep. Since going super part-time at the bar/restaurant and starting my new (secret) job, I’ve been bitten by the life bug. Or get a life bug. Even though I’m working more hours, I’ve somehow gotten the energy to start blogging like crazy, and not just about food. And I want it to stay this way. You may be at Honey & Birch for food-related posts, and you’ll still get them. Just only 2-3 times a week. The rest of the week’s posts will be about everything else. 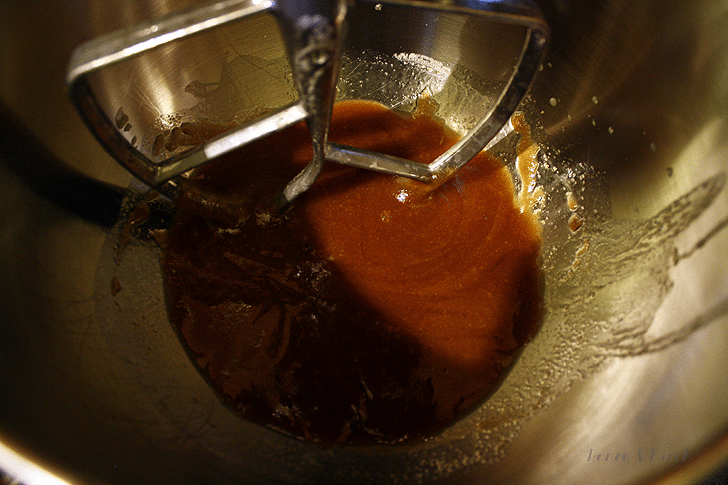 I have 8 recipe posts waiting on the back burner but I want to share other things with you too. The food is the “Honey” side, but I want to make sure “Birch” is well represented too. There are some exciting things ahead for the readers of Honey & Birch – 2 giveaways within the next 30 days, a new logo/header in the works and some awesome Black Friday deals I can’t wait to tell you about. I am participating in The Great Food Blogger Cookie Swap, The Handmade Gift Exchange, and a Christmas Ornament Exchange. I’ve also joined SITS Girls (hello ladies! ), Massive Sway, and the Chicago Blogger Network. I have been busy! 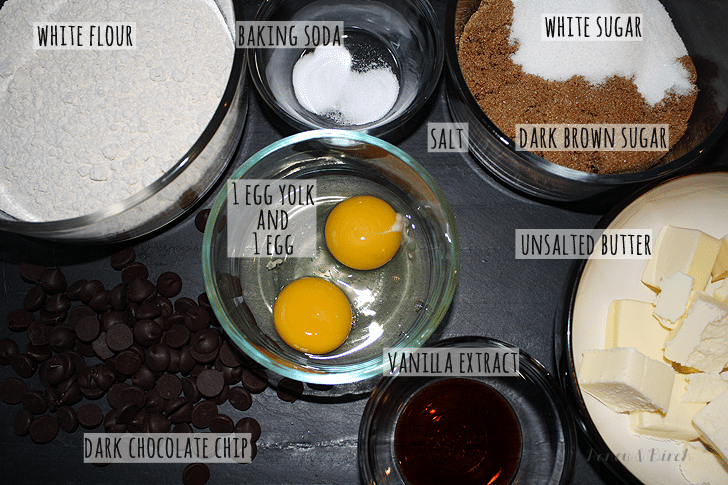 The Cookie Swap is one reason I’m sharing this seriously awesome chocolate chip cookie recipe with you. Its my favorite, my husband’s favorite, and I’ve passed this recipe out to no less than 5 people. It’s that good. I was considering it for my recipe to send out to my fellow food bloggers, but I couldn’t resist sharing it now. 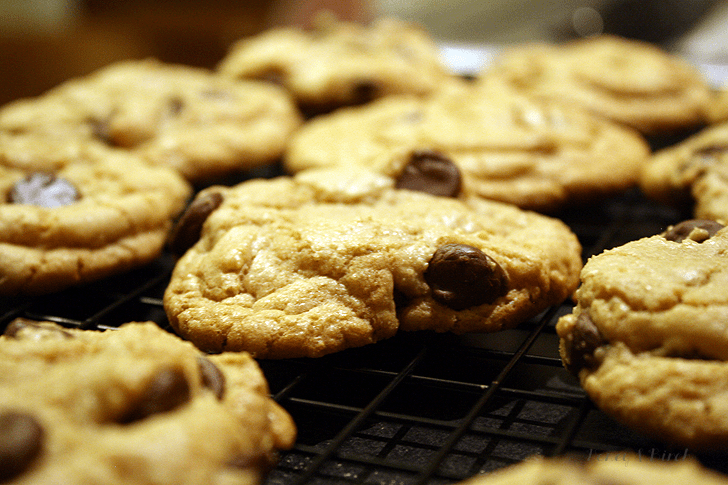 I am also reaching out to my readers – what kind of cookie do you think I should send? Should I do something crazy? Take a normal recipe and add an exotic ingredient? Be safe, cause its the first time I’m participating? I would love to hear from you…. 1. 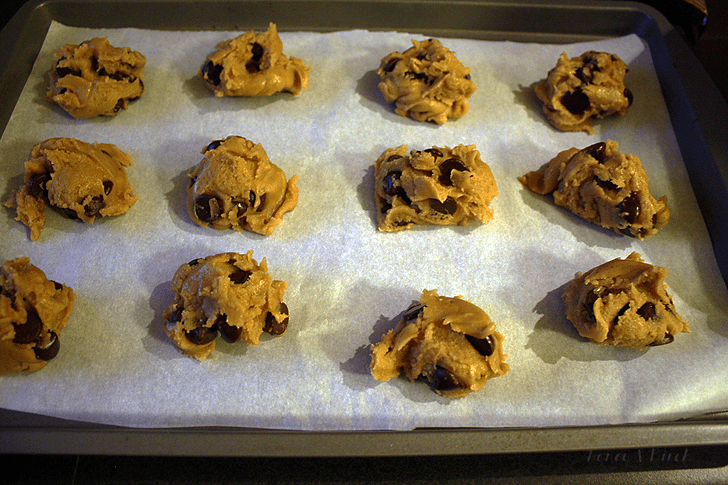 Preheat oven to 325 degrees F. Grease 2 cookie sheets or line with parchment paper. 2. 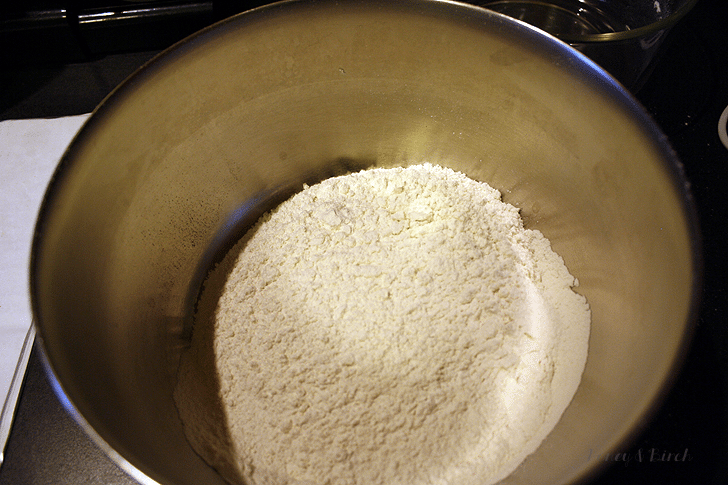 Sift together the flour, baking soda and salt and set aside. 3. Melt the butter in the microwave in 10 second increments. 4. 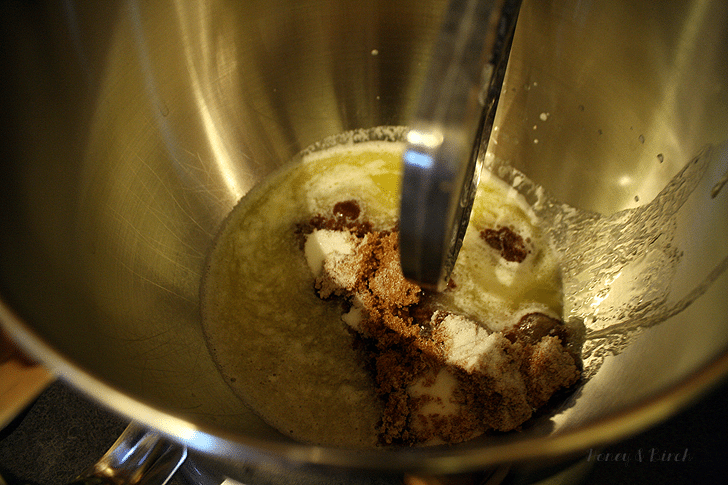 In your mixing bowl, cream together the melted butter and sugars until well blended. 5. Beat in the vanilla extract and eggs until light and creamy. 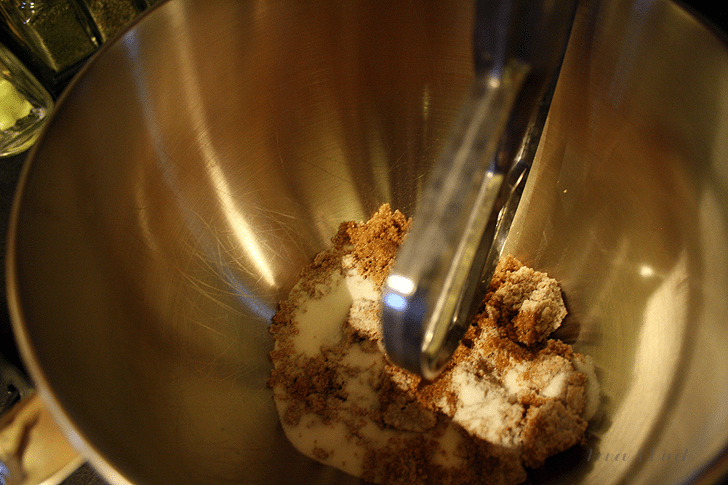 Mix in the sifted ingredients until just blended. 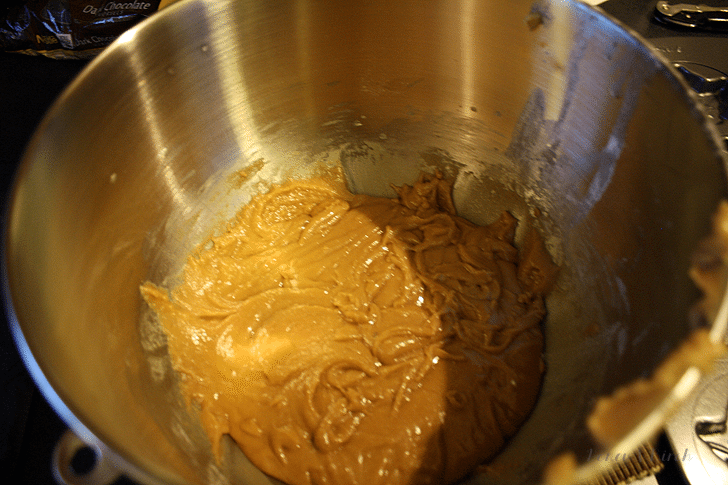 Stir in the chocolate chips by hand. 6. 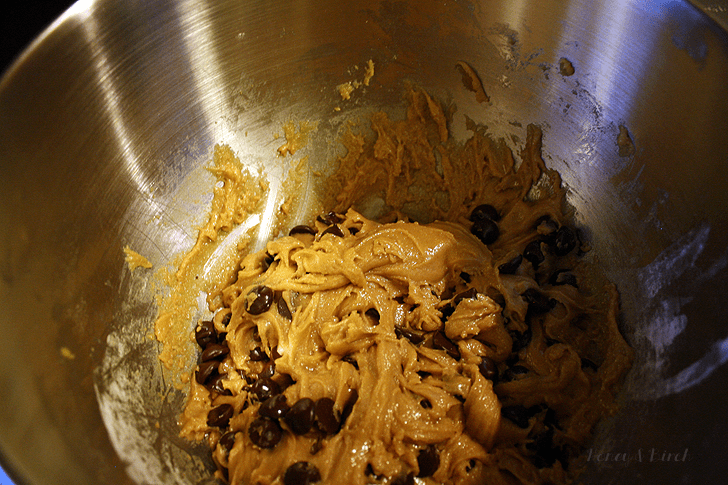 Using a 1/8 cup measuring cup, drop the cookie dough onto the prepared cookie sheets. Makes 2 dozen cookies. 7. 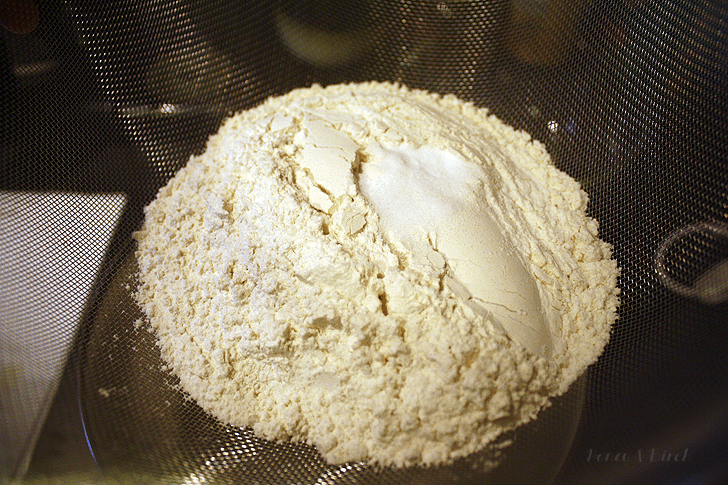 Bake for 13 to 15 minutes, or until the edges are lightly toasted. Cool on cookie sheets for a few minutes and then transfer to wire racks to cool completely. Haha, we can’t have that, can we? 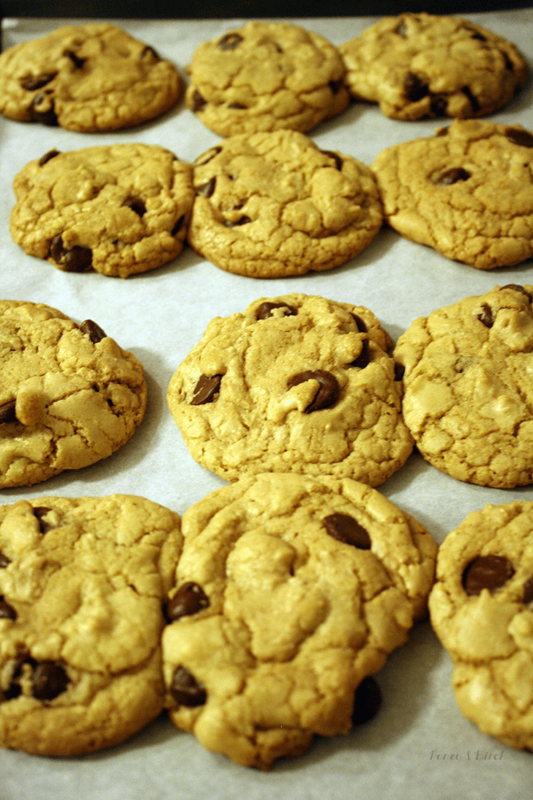 I really love these cookies – I like to make a batch of the dough and freeze for when I want cookies on another day and I don’t have time to make it. 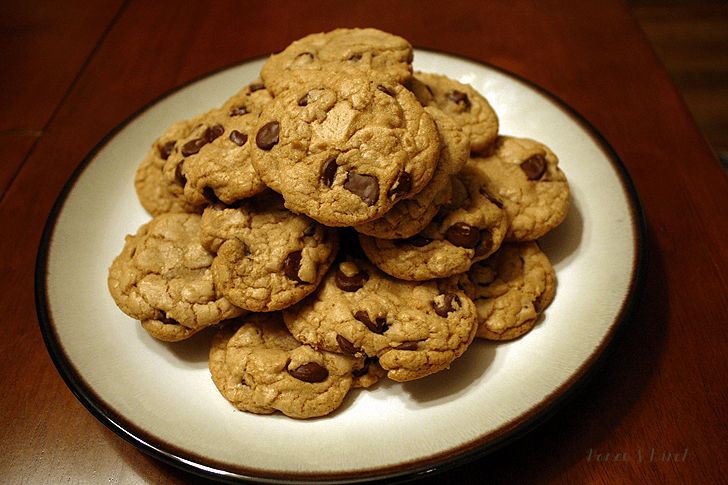 Chocolate chip cookies look really good. 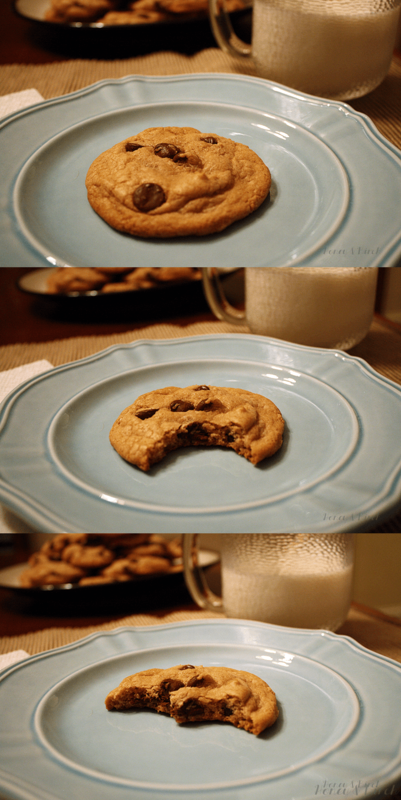 They are my son’s favorite cookies. I’ll have to make him some I think. Thanks for the recipe. These look amazing and look at that texture!! 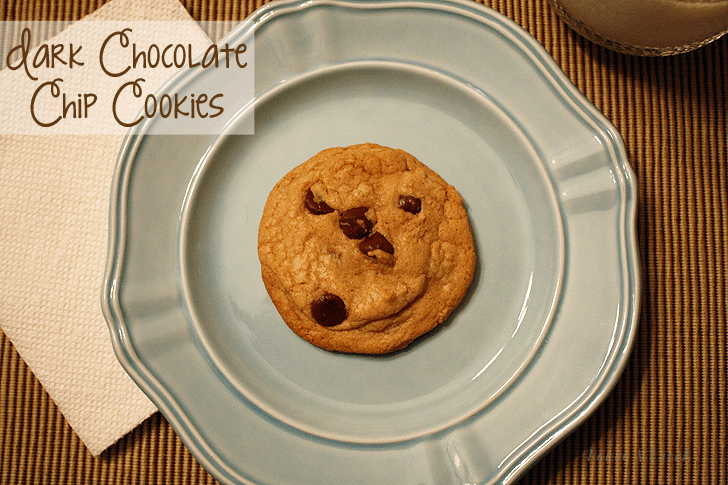 I am crazy for dark chocolate so I’ll definitely be trying this recipe…especially when the texture of the cookies turn out like yours! !